Stannah stairlifts are safe. We’ve been making stairlifts for over 40 years and your safety has always been our top priority. 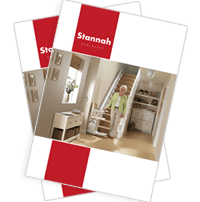 Everything we’ve learned we’ve used to make our stairlifts safer and more comfortable. They’re designed to help everyone, regardless of age, get up and down stairs easily, without fear, effort or the risk of falling. As we get older, we start to feel the effects of ageing. Our balance decreases, which has a negative impact on our lives. Before you know it, the stairs can become a real obstacle in your home. Using the stairs could be painful, dangerous and almost impossible. Many people think that continuing to use the stairs will bring health benefits. However, while ‘keeping active’ is generally a good idea, straining to use the stairs can inflict lasting damage on your knee joints. With more use comes more damage. Insisting on taking the stairs could lead to accidents, falls and injuries. They prevent falls. We want to ensure you’re safe in your own home. You might start to take precautions to avoid falling down the stairs, but none of them will keep you as safe as a stairlift. They give you peace of mind. You know you’re safe on your stairs and in your own home. That’ll give you an added boost of confidence and just knowing you’re independent will make you feel freer. They’re cheaper and easier than moving house, and offer more comfort than relocating to the ground floor of your house. The cost or bother of buying and installing a stairlift might have put you off. You might think installing a stairlift will mean building work, mess and modifications to your home. The good news is, a stairlift is installed directly on your stairs. You don’t need planning permission or building work to get your independence back. They don’t damage your house. All our friendly technicians have to do is drill a few small holes in your stairs and your stairlift is installed. No permanent damage is done and our technicians always clean up after themselves. They’re very affordable and economical. Running your stairlift costs less than running your kettle. They’re flexible. No matter what your stairs are like, we can install a stairlift that is specifically made to fit them. Not only that, but we also analyse your personal needs, and recommend a chair that will suit them. Give us a call right now and in no time, you’ll feel safer in your home.